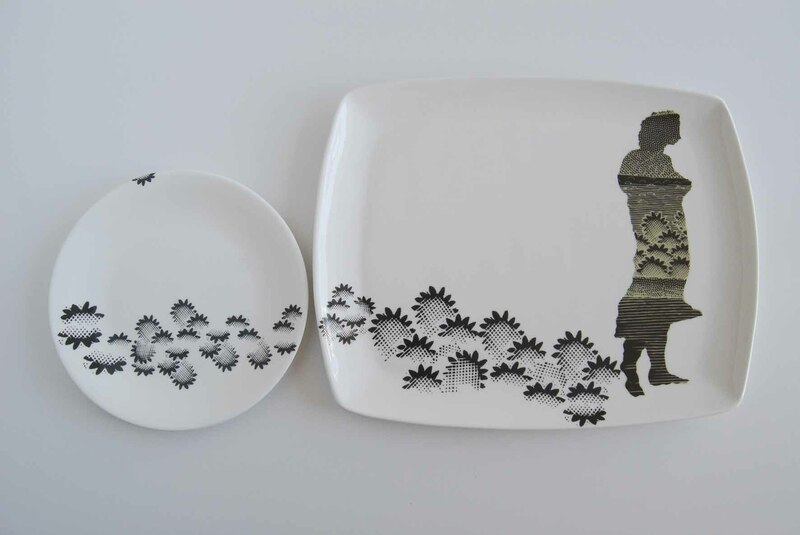 Patterned Promenade, handcut transfer on china, 7 plates @30cm diam. 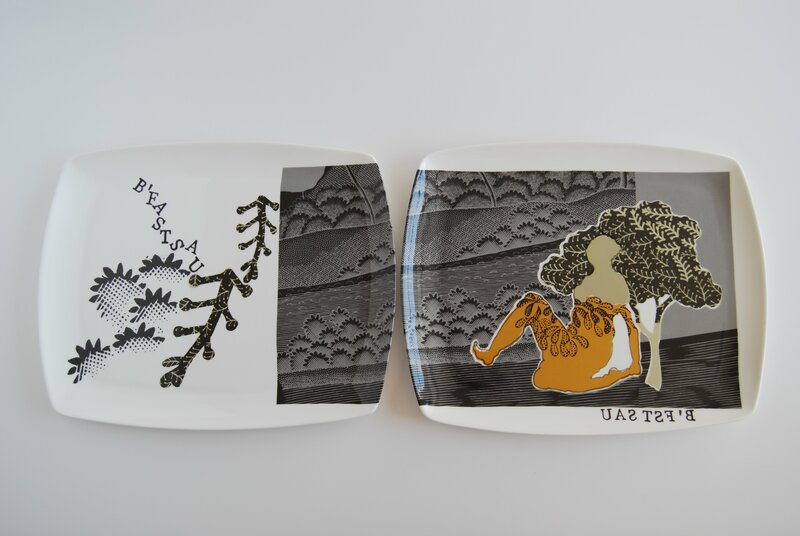 These ceramics form part of an overall body of work Dressed in Pattern made over a two year period completed in 2016 which drew upon landscape, text & decorative motifs sourced from the Spode Museum Trust archive of engravings. 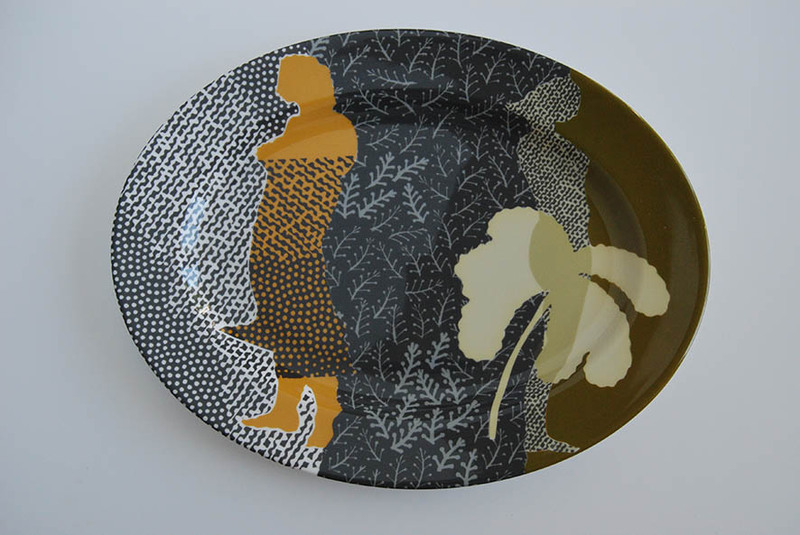 The ceramics were derived from fragments of imagery found in the Spode Museum Trust archive of engravings. 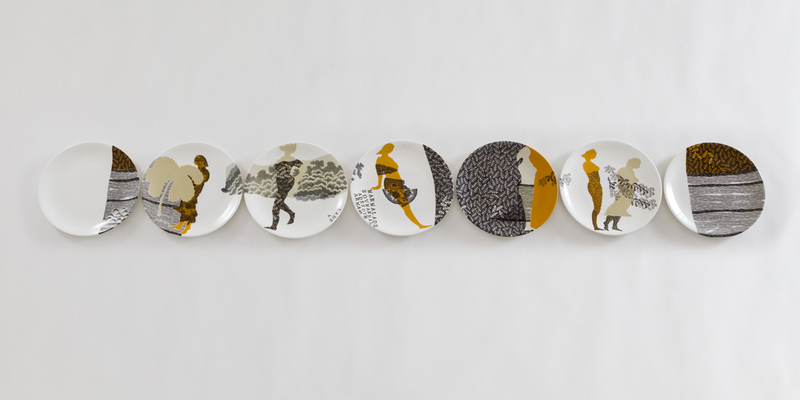 They were then printed, scanned, deconstructed and refined through hand and digital drawing. 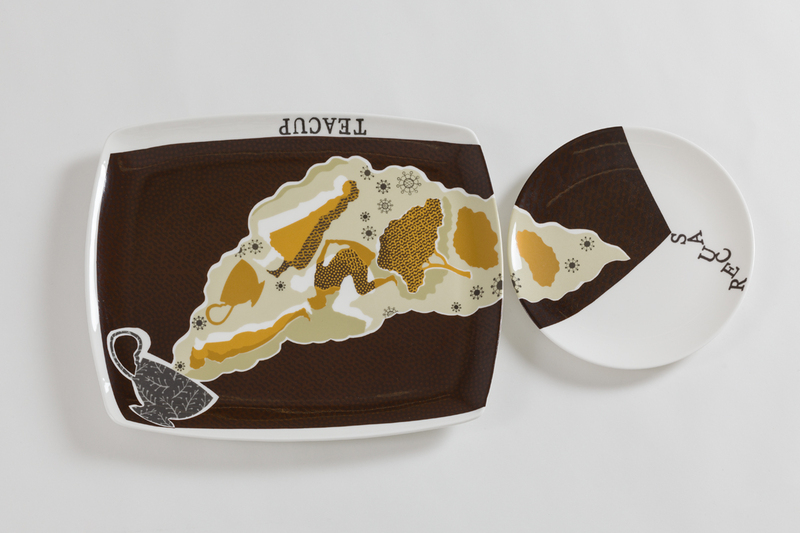 A selection of these were subsequently used to produce, digital and screen printed transfers which then served as a palette for collaging onto the china ware. 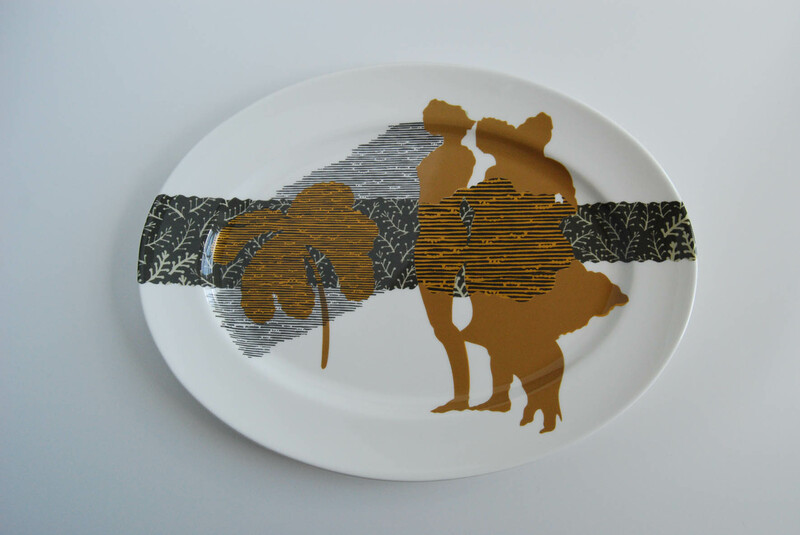 The intention to use existing industrial ware was implicit from the outset in order to reference the factory production of ceramics and its everyday use and function as opposed to the tradition of studio ceramics. 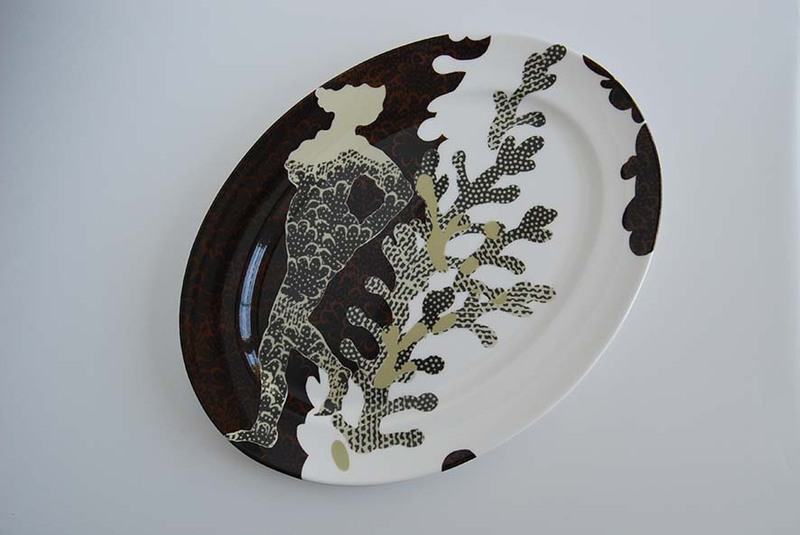 The imagery is intended to create a sense of another world in which women pass through as if disinterested or are captured simply wandering across the ware. 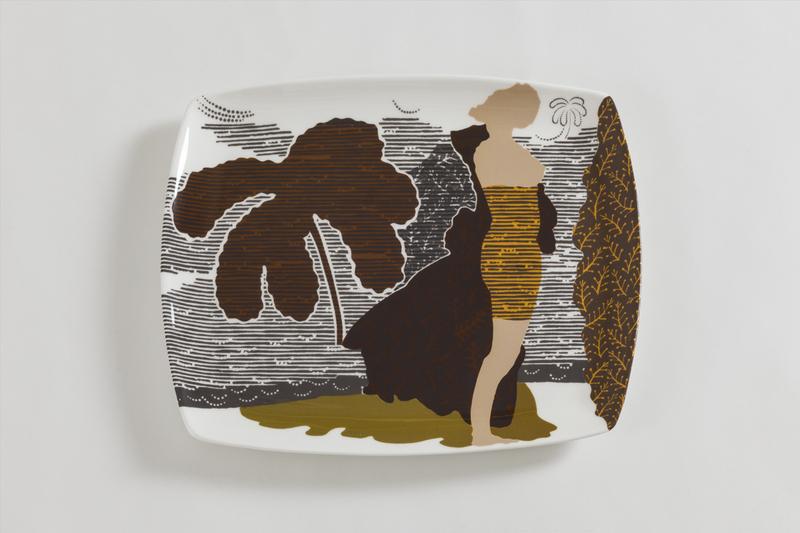 In addition to the ceramics, Dressed in Pattern included an installation Spode Trees and Dressed Silhouettes (commissioned by the British Ceramic Biennial 2015), paintings and a series of lasercut relief prints In the shadows. 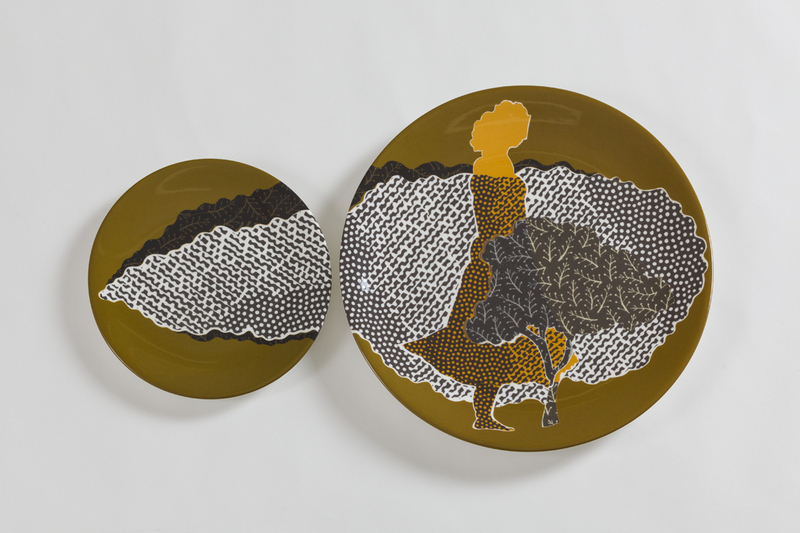 This project was the result of many years of involvement with ceramics at the Spode factory and an Arts Council England grant (awarded with artist Paul Scott in 2014) for research and development.